Isolated by the most savage terrain in North America, the reclusive Tarahumara Indians of Mexico's deadly Copper Canyons are custodians of a lost art. For centuries they have practiced techniques that allow them to run hundreds of miles without rest and chase down anything from a deer to an Olympic marathoner while enjoying every mile of it. Their superhuman talent is matched by uncanny health and serenity, leaving the Tarahumara immune to the diseases and strife that plague modern existence. 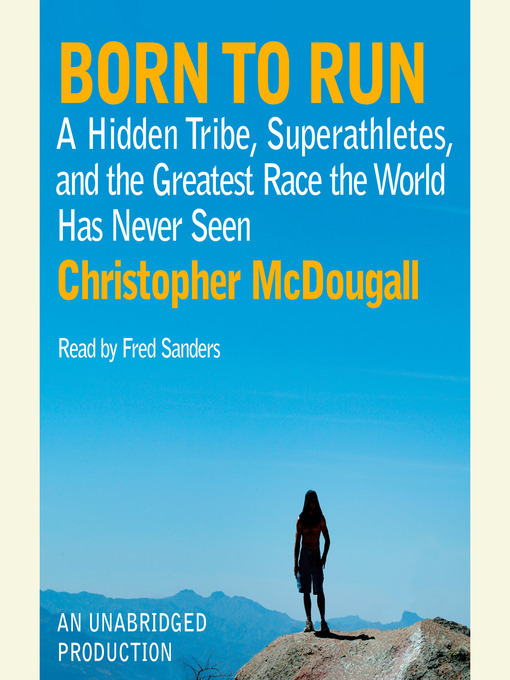 With the help of Caballo Blanco, a mysterious loner who lives among the tribe, the author was able not only to uncover the secrets of the Tarahumara but also to find his own inner ultra-athlete, as he trained for the challenge of a lifetime: a fifty-mile race through the heart of Tarahumara country pitting the tribe against an odd band of Americans, including a star ultramarathoner, a beautiful young surfer, and a barefoot wonder.